Solar Photovoltaic systems are a fantastic way of using free energy from the sun. They produce a premium product in electricity which continues to become more and more important in our technology based lifestyles. As electricity prices continue to rise, and ways of storing free electricity improve (see the immersun free hot water heating below) and even as electric cars become commonplace, a free means of getting hold of this wonderful energy is a perfect complement to our homes and businesses. 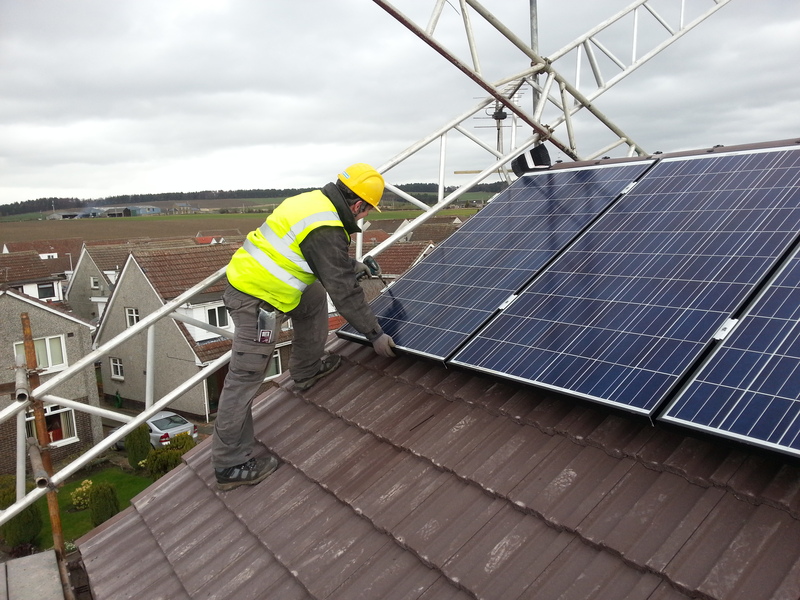 Solar PV is a simple and enduring technology, and can be fitted to most roofs or gardens. It will play a larger role as electricity becomes scarcer in the years ahead. We have the benefit of a combined experience in over 200 Solar PV installations, from domestic to larger scale commercial installations. We only use the best quality products on the market, industry test leading Norwegian and German panels, German roof mounting systems and German or Italian inverters.